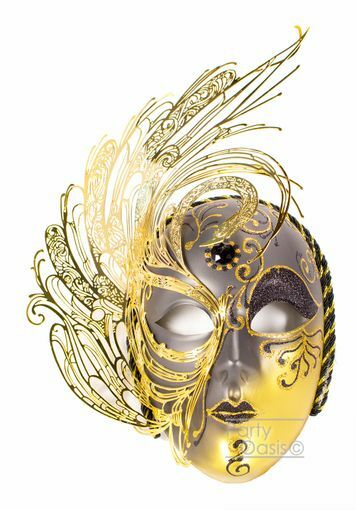 Full face masquerade mask in black and gold, adorned with a lightweight metal design. Can be worn or showcased on a wall. Comes with black ribbon ties.